Dump dinners are a great way to have a home cooked meal after a long day, without having to put in the time during the weekdays. As a working mom, this is my jam. 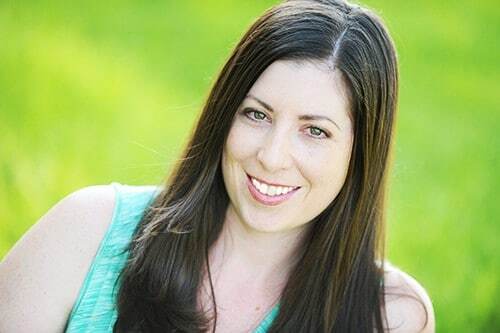 I spend an hour or two on the weekends, prepping the meals and filling up my freezer. Then on weekday mornings, I just dump the packages into the slow cooker and dinner is ready when I get home! I recently picked up a FoodSaver® FM5200 Vacuum Sealing System and am kind of obsessed with it. I am a huge fan of both meal prepping and stocking up when meat and produce go on sale. 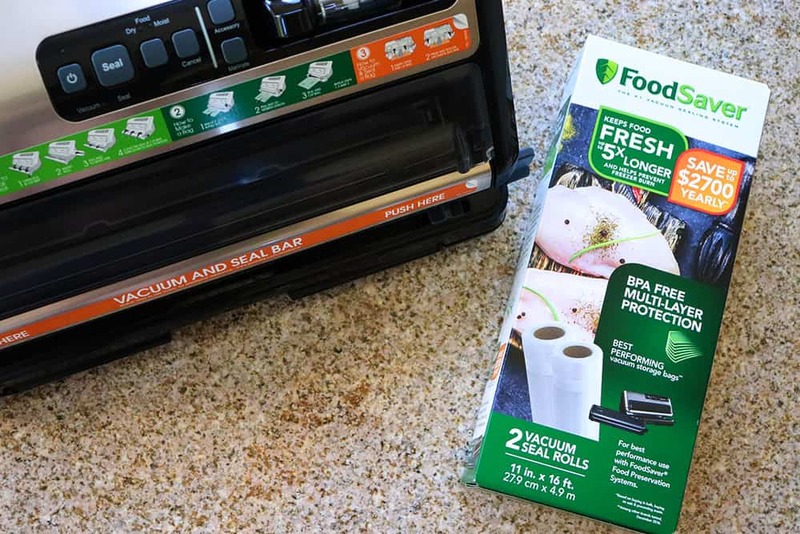 When I use my FoodSaver® FM5200 Vacuum Sealing System to freeze food, it actually keeps food fresh up to 5x longer* and helps prevent freezer burn (*compared to ordinary storage methods). If you like to meal prep or hit up sales to stock your freezer, you would definitely benefit by investing in a FoodSaver®. 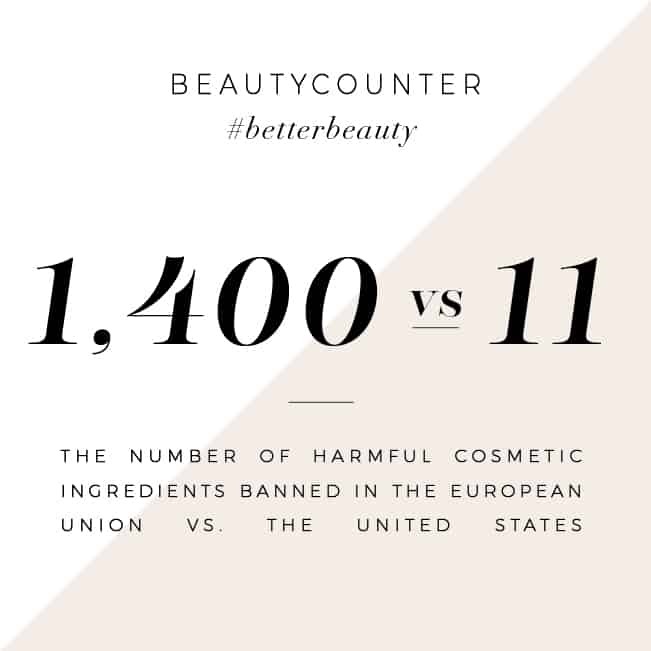 It will save you time and money, and reduce waste. 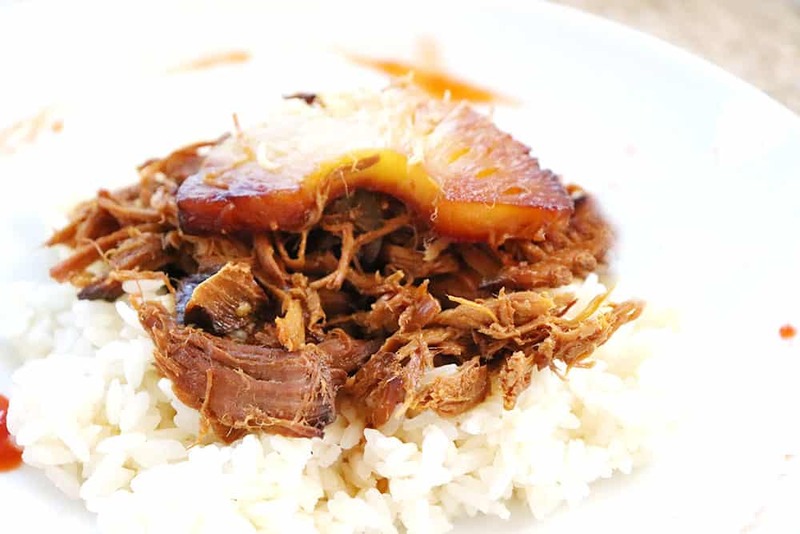 One of the reasons I especially love using this recipe as a dump dinner is that making it ahead of time allows it to marinate for days in the freezer, giving every bite of pork a ton of Hawaiian flavor. 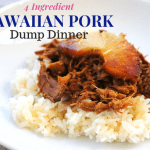 To make this flavorful Hawaiian Pork Dump Dinner, you start by creating a bag for your meal. 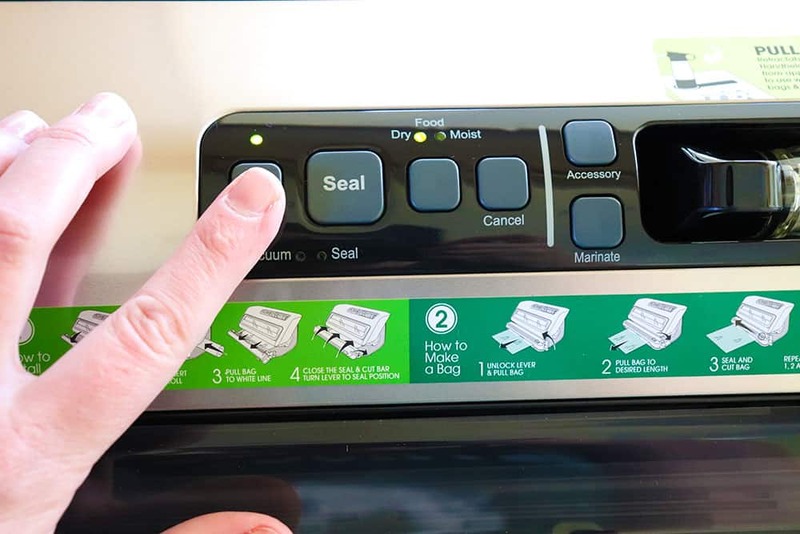 To do this, turn on your FoodSaver® FM5200 Vacuum Sealing System. 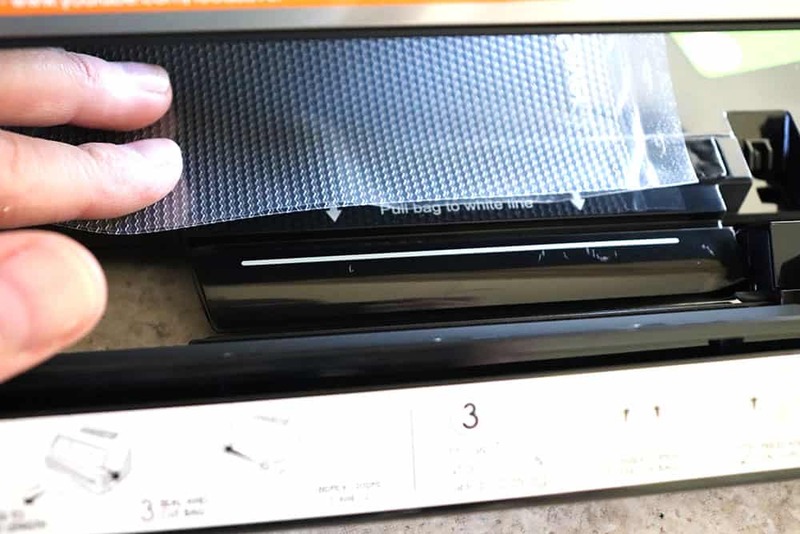 Insert a FoodSaver® 11″ x 16′ Vacuum Seal Roll, and pull the bag to the white line. Close the Seal & Cut Bar lever to “seal position” to seal the bottom of the bag. You’ll want to extend the bag about a foot or so, depending on the size of your pork roast. Easily cut the bag by sliding the cutter. Pro tip: After you cut your bag, go ahead and seal the next bag to save you a step next time you use it! Next, you’ll add your pork shoulder roast to the bag. Pour the juice from a can of pineapple rings into a bowl, then add 1/4 cup soy sauce and 1/4 cup brown sugar to the juice. Mix well, then pour the marinade into the FoodSaver® multi-layer, BPA-free vacuum-seal bag. 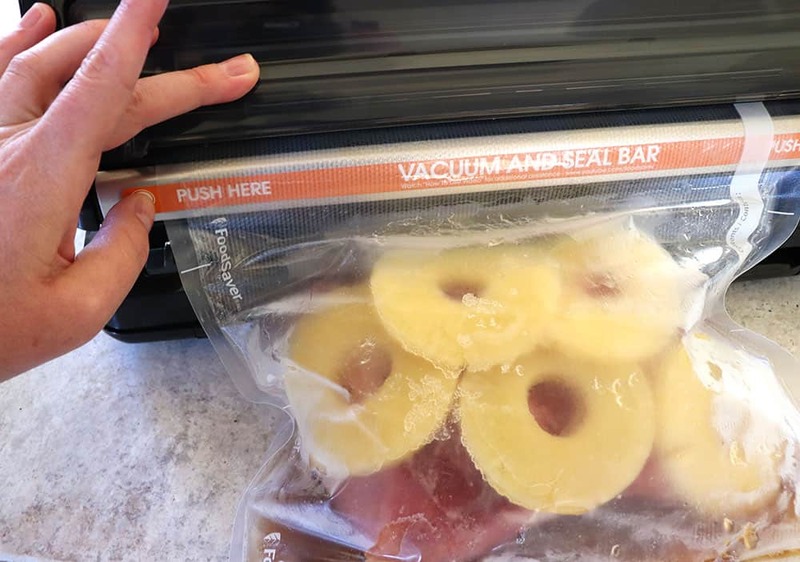 Place the pineapples on top of the roast, then transfer the bag into the freezer. 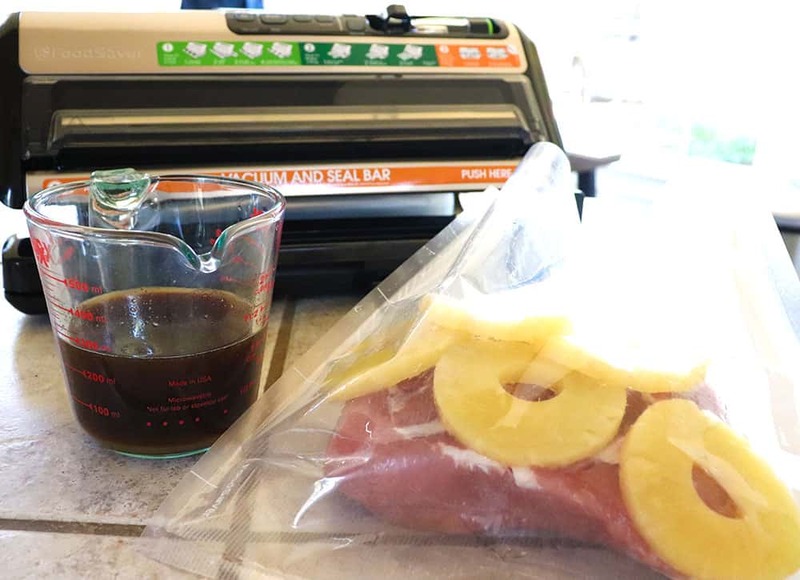 Freeze until all of the liquid is frozen, then use the FoodSaver® FM5200 to quickly seal your Hawaiian Pork Dump Dinner. Store in the freezer until ready to enjoy! 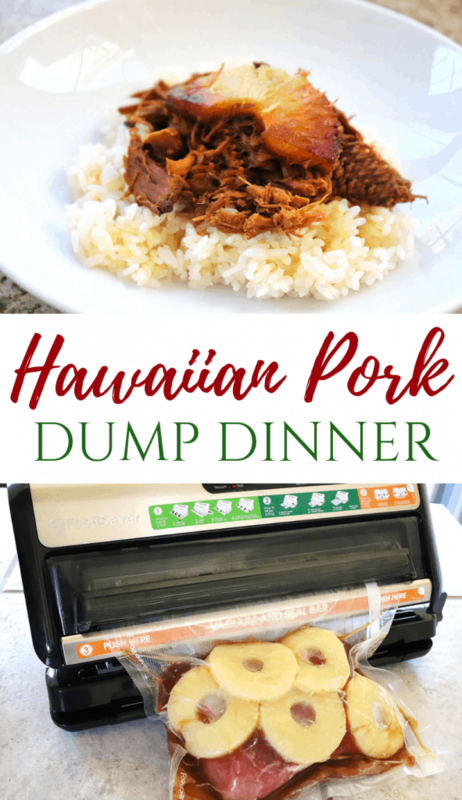 Whenever you’re ready to enjoy your Hawaiian Pork Dump Dinner, simply dump it into a slow cooker with 1/2 cup of water or chicken broth. Set it to low for 7 hours. It’s best served over steamed rice! Here is a convenient printable recipe for you to hang on the fridge or share with a friend! Pork shoulder roast marinated in pineapple juice, soy sauce, and brown sugar. In a small bowl, mix together juice from pineapples, soy sauce, and brown sugar. Add pork shoulder and pineapples to a large bag or bowl, and pour marinade on top. Marinade 1 hour before cooking. When ready to use, dump contents into a slow cooker and add 1/2 cup of water or chicken broth. Cook on low for 7 hours, then shred pork and toss it in the juices. Serve over rice, if desired. 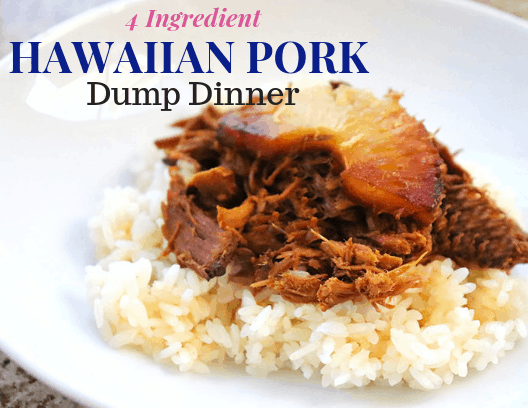 Save this recipe to your favorite Dump Dinner Pinterest board by clicking on the image below! Can’t wait to get your hands on the FoodSaver® FM5200 and FoodSaver® 11″ x 16′ Vacuum Seal Roll, 2 Pack? 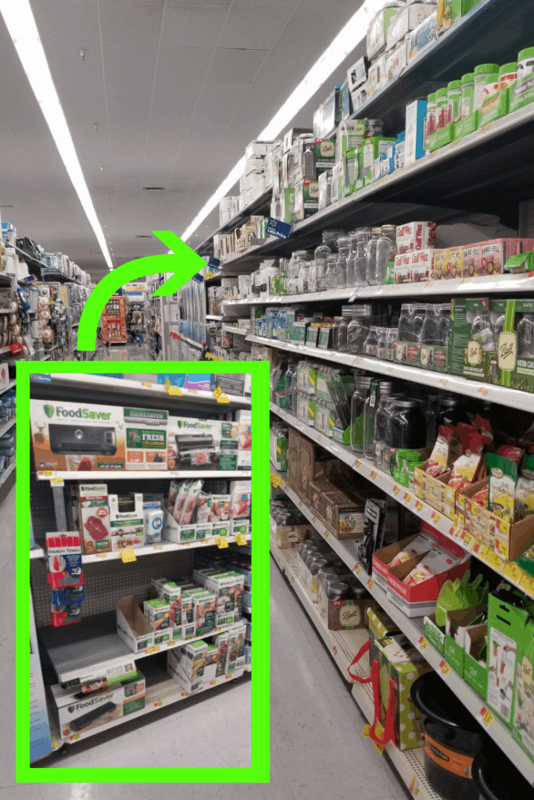 Right now you can grab it at Walmart with their special Rollback offer! From 9/15 – 12/22 at Walmart online, you can get the FoodSaver® FM5200 Vacuum Sealing System for only $142.99 (original price $169). You can stock up on FoodSaver® 11″ x 16′ Vacuum Seal Roll, 2 Pack for only $15.99 (original price $17.98). Get recipe ideas by following FoodSaver on Facebook and Instagram! 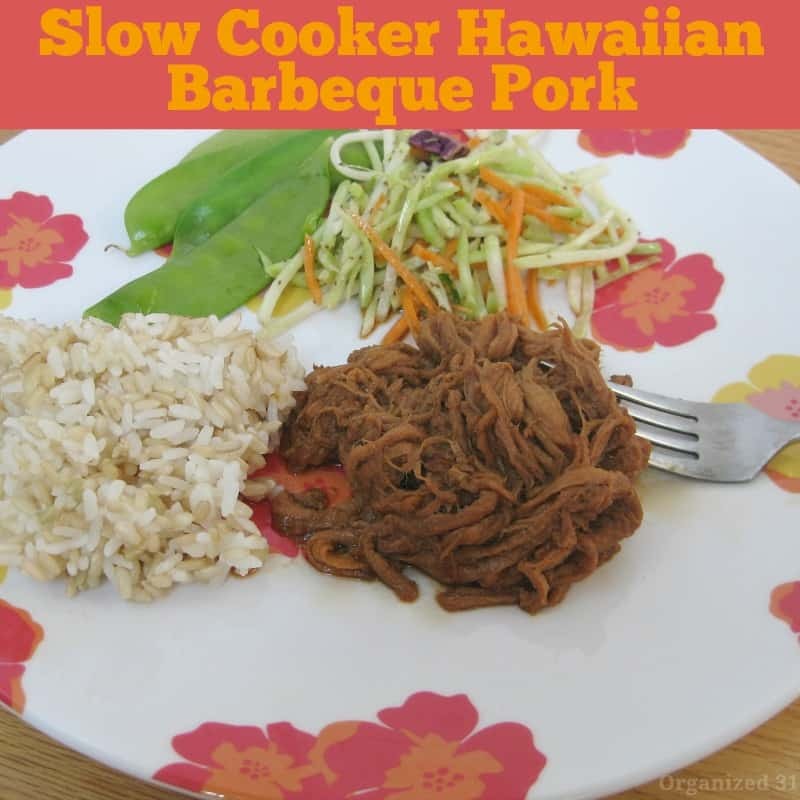 You should also check out this recipe for Slow Cooker Hawaiian Barbeque Pork!